This ruling should be contrasted with PLR 9102013 involving payments made by an attorney as the personal representative of a decedent's estate to doctors, nursing homes and others for services provided to the decedent. There the IRS ruled that no Form 1099 was required. Although PLR 974400 does not mention the earlier ruling they are distinguishable. In the case of the medical payments the attorney did not exercises oversight and management functions whereas he did exercise those functions over the expert witnesses and private investigators. It is the oversight and management functions which trigger the necessity of filing a Form 1099. See Rev. Rul. 93-70, 1993-2 C.B. 294. Attorneys can also expect to receive more Forms 1099 than in the past. A client who pay fees to a law firm in excess of $600 in the course of the client's trade or business is required to issue a Form 1099. In the past, however, if the law firm was a corporation then no Form 1099 was required. 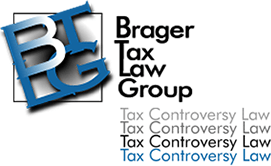 As of January 1, 1998 a Form 1099 will be required even though the firm is a corporation. Internal Revenue Code §6045(f). According to the legislative history, reporting will be required even if the attorney is not the exclusive payee. Thus insurance settlement drafts issued jointly to attorney and client will result in a Form 1099 being issued to the attorney for the gross proceeds. Attorneys are required to promptly furnish their taxpayer identification numbers to persons required to file Forms 1099. Internal Revenue Code § 6109. Failure to do so could result in a penalty being assessed against the attorney. Internal Revenue Code § 6723.